And here is the accompanying WCC eastern route land ownership schedule. 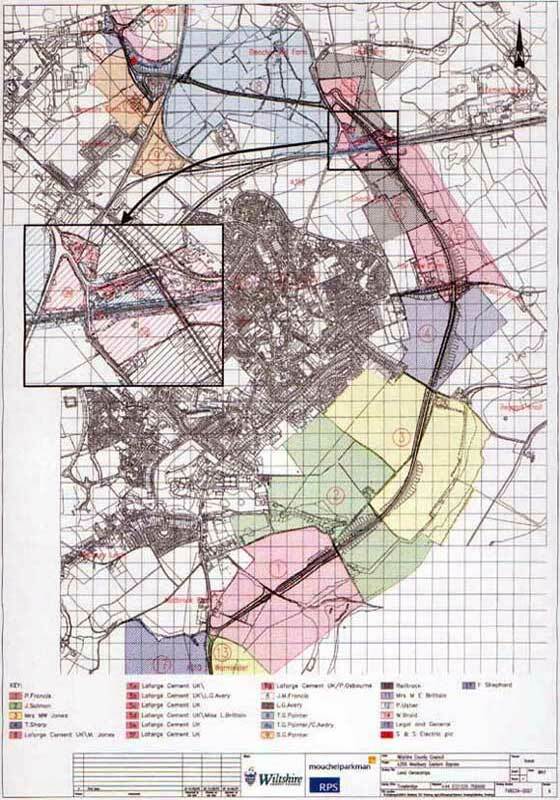 Here also is a link to the Westbury bypass planning application [on pdf] - with Wiltshire County Council's eastern route land ownership schedule and drawing. After the covering letter and the application for permission to develop land form (by which WCC's planning application passed between WCC departments, under the control of the same WCC Director of Environmental Services) you can see the schedule of the land owners on pages 5 to 8 and the drawing on page 9. Francis Shephard of Madbrook Farm, T Painter of Blenches Mill Farm, S Painter of Glenmore Farm & Mrs Brittain of Coach Road objected to the Eastern Bypass, expressing further concerns about the damaging effects on the landscape. Mrs Jones of Fair View Farm was a supporter of the eastern bypass scheme. As was Mrs Jones' son Dorian Jones of the 'Westbury Bypass NOW!' campaign. Jones family land on the eastern route was area 3 on the WC map & schedule (and was identified as being in the ownership of Mrs Jones of Fair View Farm). Fair View Farm, on WC map area 5, sold to Lafarge, has now been sold again. Area 3 (Lots 1 & 2) on the route through Wellhead Valley was still Jones land. 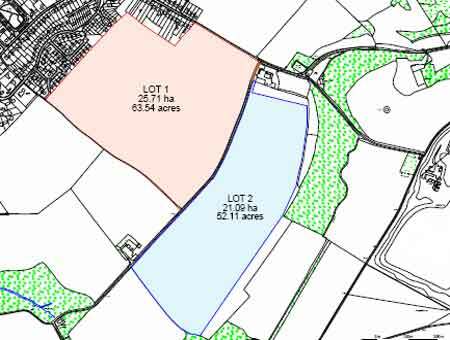 Coincidentally, Jones family land was being sold in the period in 2009 after the Inspector submitted his recommendation against Planning Permission for the Eastern Bypass scheme, though before this was publicly announced. And here is more about Wiltshire Council's wobbly CPOs.